Camp Kesem at JHU is part of a national nonprofit which sees dedicated college students providing a free week-long summer camp for children, age 6-18, of those with cancer. 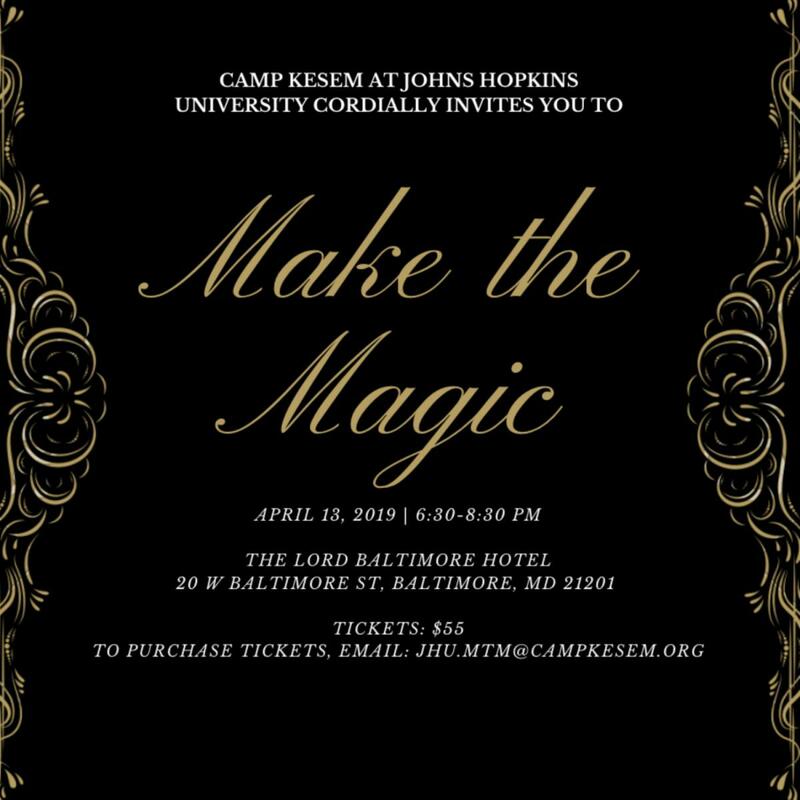 Make the Magic is our largest annual fundraising event, and is an integral part of our annual efforts to raise the money required to hold camp. This year we are excited to meet our chapter goal of raising $45k throughout the year, which will allow us to have 45 campers from the Baltimore area. Ticket purchase provides 3 course meal with desert and cash bar, along with access to a multitude of activities and chances too win prizes. You will also get to hear from our guest speakers and meet our counselors, who will be present throughout the night. This event is open to all, so please join us for a truly magical night as we celebrate those who support us through the uncertainty and fear which oftentimes accompanies a family member or close friend's diagnosis.